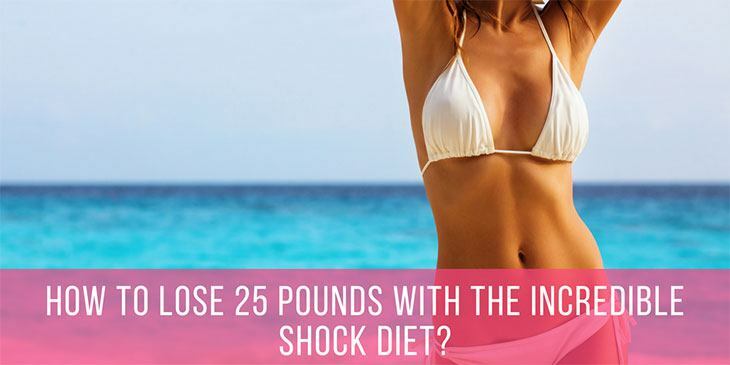 The shock diet is meant to have you lose up to 25 pounds in just TWO WEEKS! But how does it work and what do you need? I'll be showing you how to follow this diet and some tips to stick to your plan. 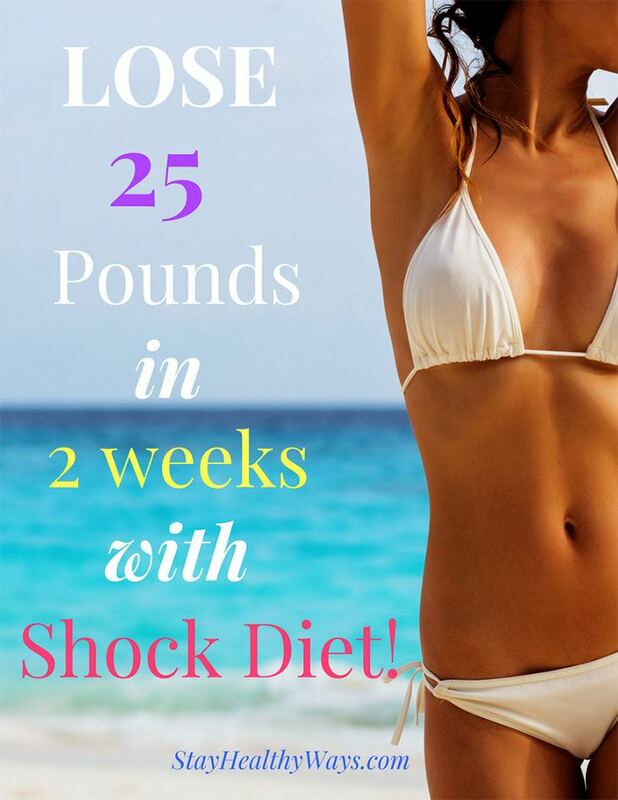 Lose 25 Pounds in 2 Weeks With Shock Diet! What Is the Shock Diet? How to Do the Shock Diet? What Are the Side Effects of the Shock Diet? What Training Methods Should You Follow During the Shock Diet? What is called a shock diet? The shock diet is also called "The 13-Day Diet". It's known to aid in your weight loss through shocking your metabolism, thus increasing its metabolic rate and burning more fat. 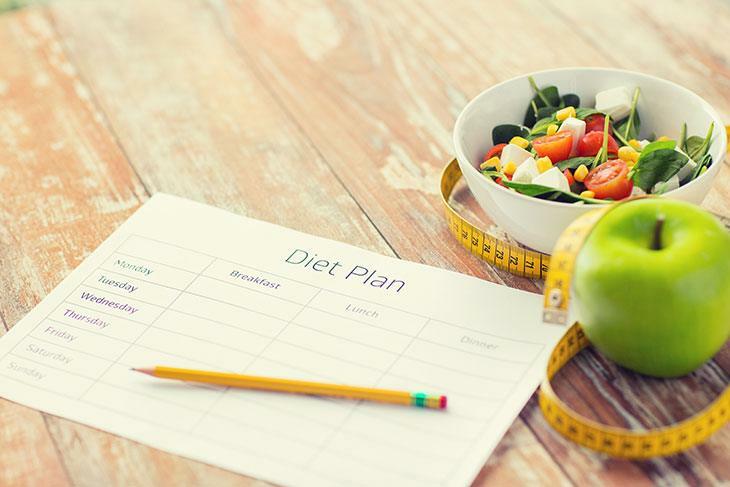 Like mentioned, this diet claims to help you lose a whopping thirty pounds in a span of two weeks, which seems like too little time to shed off that much weight. So yes, it will require a low-calorie intake. But the creators of the diet claim that the positive metabolic effect will last for two years, which will help you maintain the weight after finishing the diet. Because of its demanding meal plan and lack of calories, you should only do this once every two years. Also, if you happen to have a medical condition, then it's best to consult your doctor before doing so. Shock diets require a specific diet plan that you need to follow. What does the shock diet contain? One benefit this diet has is that it doesn't require you to prepare or purchase a lot of food. Usually, you stick to the similar meals on weekdays. Do NOT cheat. It's the most obvious rule since you're only cheating yourself if you indulge or binge. You can add herbs to your meat or cooked vegetables for better flavor. Do NOT drink any alcohol or soda during the diet (even during weekends). You can eat the ingredients cold or warm, as long as you follow the diet and the amount it states. Breakfast will always be one orange (or any fruit except banana) and two pieces of rusk (hard biscuits). Pair it with a cup of coffee or tea WITHOUT sugar. This meal goes on for every weekday you are on a diet. You can easily find any of these foods or ingredients in any grocery store near you. It's best not to substitute them for any other meal, as they contain the natural sugars and proteins your body needs to survive. Also, it contains nutrients you need. Take note that after the first five days, you will lose as much as five kilograms. Then you will slowly lose the rest over the next few days. You can choose to have supplements and pair the diet with half an hour of exercise a day. Shock diet can help you quickly remove excess weight and give you physique desirable. The shock diet is designed for the weekdays, meaning you can eat like usual during the weekends. Make sure that you still eat balanced and healthy meals during the two days so as not to ruin your progress. Once the weekend is over, repeat the diet again for another five days, then repeat the "resting" phase and follow the diet one last time for five days. And you're done with the diet and achieved weight loss! Breakfast: One glass of lemonade with NO sugar, but you can use low-calorie sweeteners. The rules stay the same for this one day. I advise you to choose Monday as your "diet" day to help cleanse yourself from the typical weekend out! When maintaining your weight, try not to drink any form of alcohol or fizzy drinks to avoid unwanted fat and calories. 14 Days From Right Now, You Can Be at Least 6 Pounds Lighter! Now that you know what the shock diet is, the question is: How can you stick to it? Sure, two weeks is pretty short. But when you are following a similar meal plan every day, not getting enough variety or nutrition with what you consume, it may get boring (or tiring). The key to shock diet is that you have to struggle with appetite. Try to schedule the two weeks of your shock diet around times where you won't have any family outings or events. It gets easier to stick to your diet when you have no dinners planned. Eat at home and keep to the same dishes the diet has planned. Get the right support. Announce to your loved ones that you'll be on a diet. They'll cheer you on and avoid triggering you to break your diet. Do you feel like eating? If you think you're hungry, drink a cup of water first. If ever you're craving for processed junk and feel tempted to cheat on your diet, go out for a walk to clear your mind. Other ways to relax your thoughts would be adult coloring books or games on your phone. Last but not the least, stick to your diet by staying motivated. Keep your eye on the prize. It's two weeks, and you'll be able to achieve the body you want without waiting for years! You want to try the shock diet but here a lot of false advertising from various diets. It makes you think that the shock diet isn't what it's all cut out to be as well! Instead of doubting and rereading reviews online, here are what expert opinions have talked about when going into diets similar to this one. Studies have shown that fasting in particular forms will help lose weight. 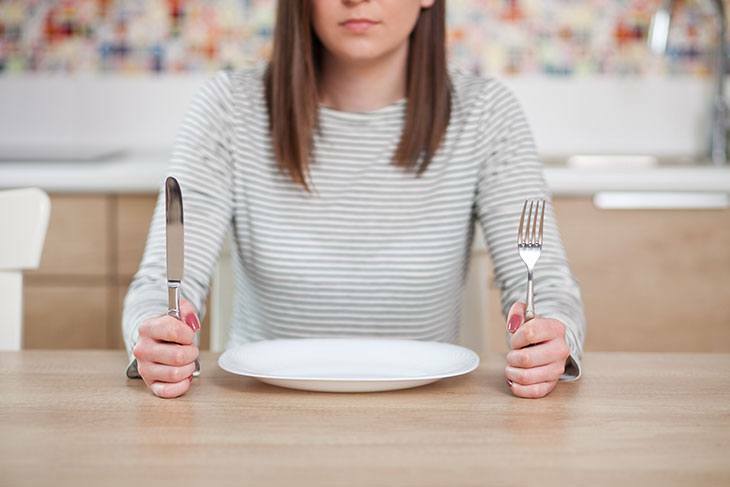 Associate Professor Amanda Salis says that restricting energy intake for a period is a surefire way to lose weight. BUT, it's all about trial and error as well, especially since there are a lot of variations of diets such as the shock diet. Because of the shock diet's restrictive intake, it WILL have you lose weight, especially during the first few days (from water loss). So yes, it is deemed valid, but not for everyone. There's no such thing as one-size-fits-all when it comes to weight management and some people suit a slow and steady approach with mild energy restriction over a longer period, while others prefer a short, sharp shock tactic. The threshold is different for everyone and depends on how much fat you have on your body, how long you've been carrying it for, your genes, the types of foods you eat and how much exercise you do. The shock diet's meal plan does have a few side effects you'll need to consider, especially if you are suffering from certain conditions that detriment your health. Like mentioned, the reason why you lose a lot of weight during the first few days of your diet would be water loss more than fat. When burning glycogen and water, you might end up losing too much and suffer symptoms of dehydration. Some of these symptoms would be a headache, fatigue, or dizziness. Since you won't have the enough macronutrients to sustain you while dieting, your insulin and blood sugar levels won't stay steady. It may end up spiking up or dropping, which is risky for those with diabetes. You aren't only losing fat during your diet, but you're also burning muscle as well. Your body begins to break down your proteins, which are not only for muscles but energy as well. It won't just affect your physique, but it will leave you with less energy, resulting in weakness. When on a diet, your brain won't get enough nutrients which lead to brain fog. You are more susceptible to stress, which links to depression and lack of focus. Follow the appropriate training program suitable for the diet. Go for sports or exercises you enjoy to retain as much muscle as your body can. Sleep early. Having a proper sleeping schedule will help you fight off the midnight munchies and stabilize your cravings. Reward yourself, but not with food-related means. Buy a new top or go for a spa. Anything to show that you're doing a great job in sticking with your diet! Constantly check your weight every day. It may discourage you from moving on, as it fluctuates throughout the day. Eat when you're not hungry. This might seem like an obvious tip, but some people can't differentiate between craving and hunger. Drink a glass of water and stick to your meal plan as much as possible. Eat out. While eating out is great, it may end up with you binge-eating and ruining your diet, which is counteractive. Prepare your food and avoid the nights out for awhile, unless it's the weekend. Along with the shock diet, proper training is also essential to achieving a toned body. Strength training, such as lifting or bodyweight exercises, are very helpful in helping you retain as much muscle as your body can while burning fat. It doesn't burn as many calories as cardio, but it will contribute to making you stronger and achieve better goals while maintaining weight! If you want to burn a lot of calories and fat while achieving a lean physique, then you can sculpt your legs by doing uphill exercises. Even a simple walk going uphill will help! 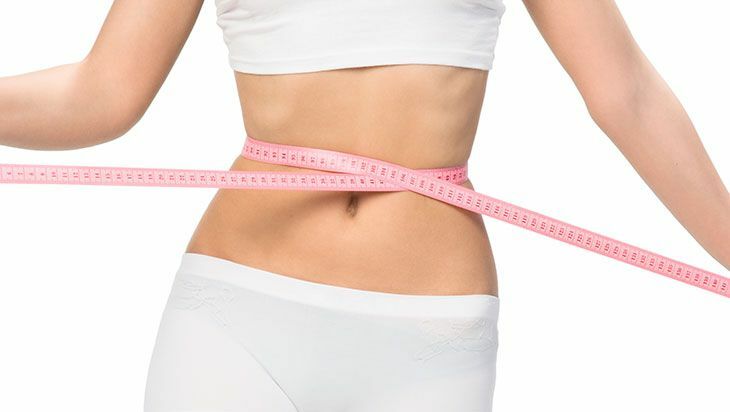 Do you want to shed the pounds and achieve the ideal body without regaining the weight back? Then try the shock diet. With a short program designed to burn fat and keep you healthy, you'll be able to get to your goals within two weeks, ideal for your upcoming events. Always remind yourself of the goal of losing weight. I hope that this article informed you on how to follow the shock diet and what you can do to stick with it. So don't wait any longer and start the diet today! If you want to lose weight while maintaining your daily eating habits, you may want to know about the low carb fast food. If you have any questions or would like to share your experiences on weight loss through this diet, then comment down below. I would love to hear what you have to think. If I are a whole wheat toast instead of the Rusk is this ok? I think half of the wheat toast is better than whole wheat toast since calories and carbs are larger with a larger size. I hate boiled eggs can I substitute something instead??? What about drinking water. It does not mention a certain amount. So how much do you need.